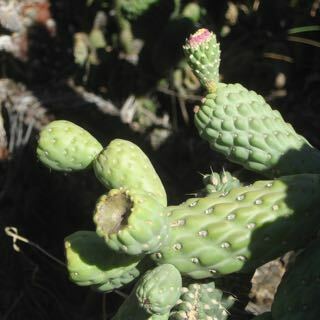 Cactus Counts: Grandaddy Coral Cactus leaden with segments. 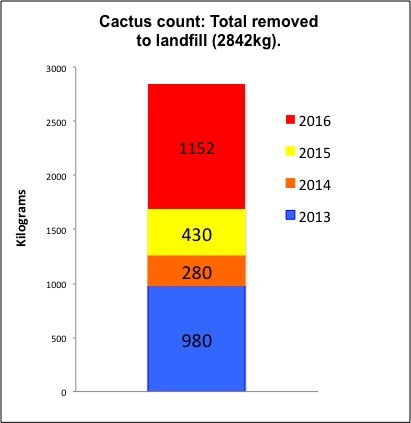 Alice Springs Landcare volunteers Andy, Sue and Audrey joined Parks and Wildlife Ranger Matt to complete a cactus segment count today on the biggest plant found in a new infestation north of town. 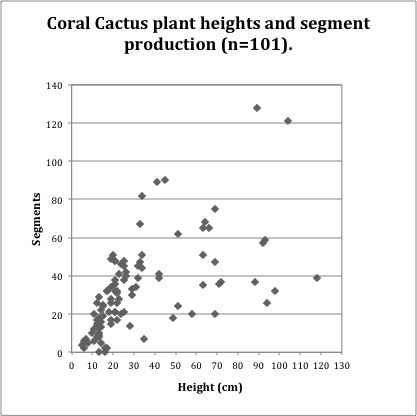 The Grandaddy Coral Cactus measured in at 1½m high, and shy under 3m across, and was leaden with 1150 removable segments. 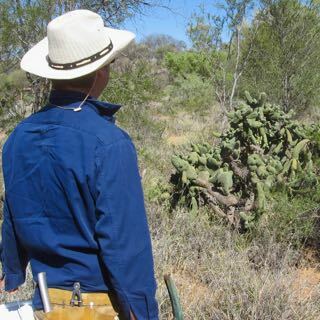 “This is one of the oldest Coral Cactus Ive seen around these parts yet”, said Andy, “and it is producing more segments than we ever expected”. 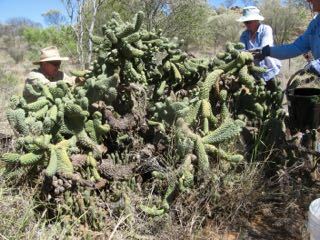 It is also the first time Coral Cactus has been seen here in flower and with fruiting bodies, probably infertile. The infestation looks like to have started by rubbish dumping at the site years ago. Parks and Wildlife Rangers and St Philips College students will complete the removal of the infestation next week. Grand-daddy? Or Grand-mammy! Whatever, you are amazingly resilient people and that is how you will beat these prickly things.